Home Neapolitan MastiffLuxury Leather Dog Collars - Original Style for Your Mastiff! 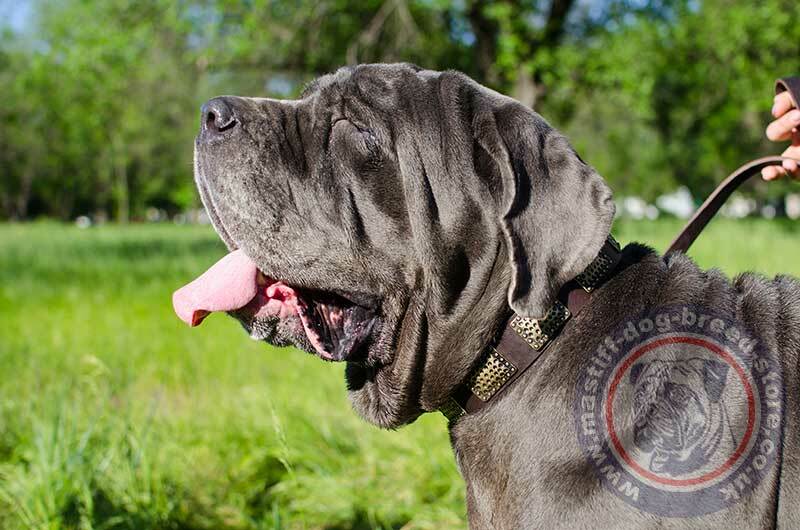 Luxury Leather Dog Collars - Original Style for Your Mastiff! 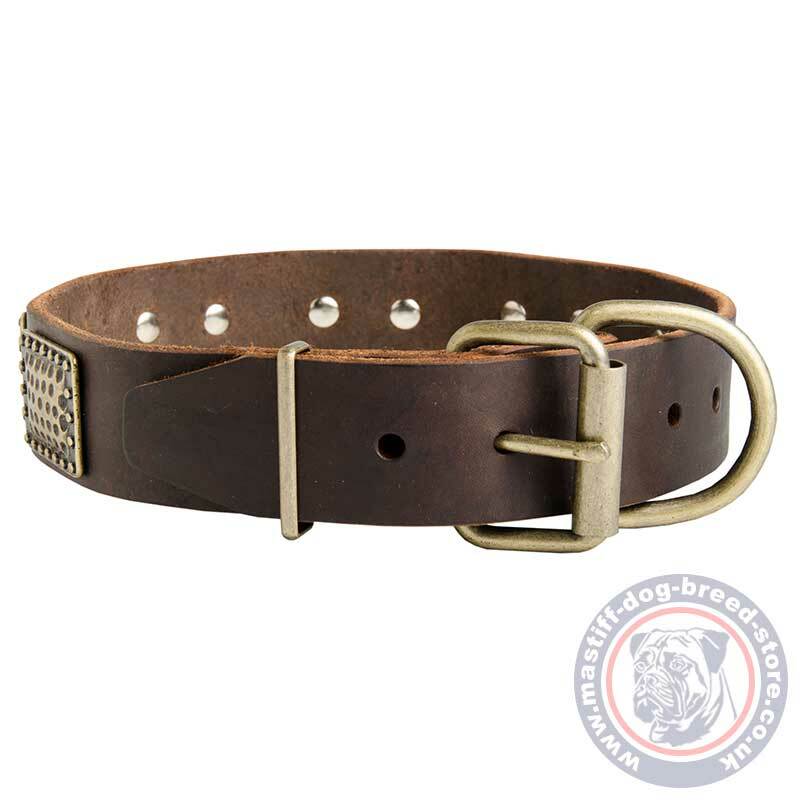 Choose a luxury leather dog collar with dotted brass plates for your mastiff. Sizes: 14-40 in. Colors: black, brown, tan. Luxury leather dog collars will help you to manage Mastino Napoletano temper, make it obedient, controlled, stylish and fashionable. Luxury leather dog collars are handmade for the best quality and reliability. We create our handmade dog collars with attention to each single detail. You may be sure in durability and safety of our luxury dog collars for your large pets. Handmade dog collars are strong enough for power of Mastino Napoletano. Though it has muscular body, this leather dog collar is thick and wide enough to coupe with this strength. 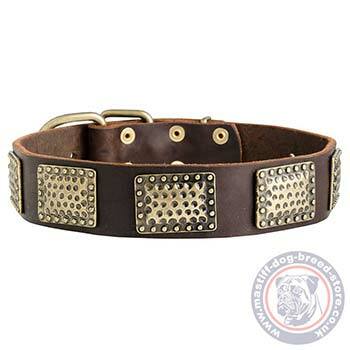 For buckle collar the size of dog's neck corresponds to the length at the central hole. Genuine leather is safe and non-toxic for a dog. It is a natural material, that will not cause allergy even if your dog is sensitive. Take a proper care of leather dog collar and it will keep its look and reliability for many years. 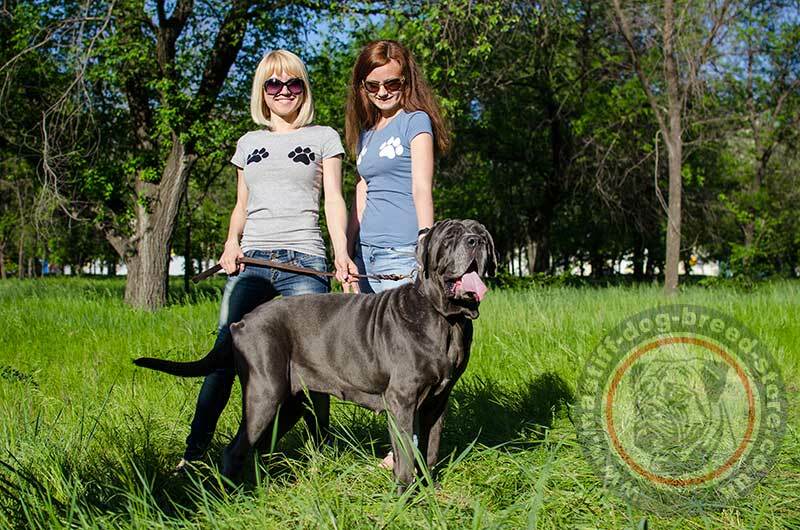 Your Gorgeous Mastino Napoletano Deserves this Luxury Dog Accessory!